No, you’re not having déjà vu. Johnson & Johnson is once again paying millions of dollars due to an ovarian cancer diagnosis linked to their baby powder. Earlier this year the company was ordered to pay $72 million to the family of a woman who died of ovarian cancer and was a habitual user of Johnson & Johnson’s baby powder for 35 years. Now a jury is awarding $70 million to another woman, who was also diagnosed with ovarian cancer and who sued the company for “negligent conduct” in making and marketing the baby powder. About 2,000 similar suits have been filed against Johnson & Johnson with thousands more being reviewed. 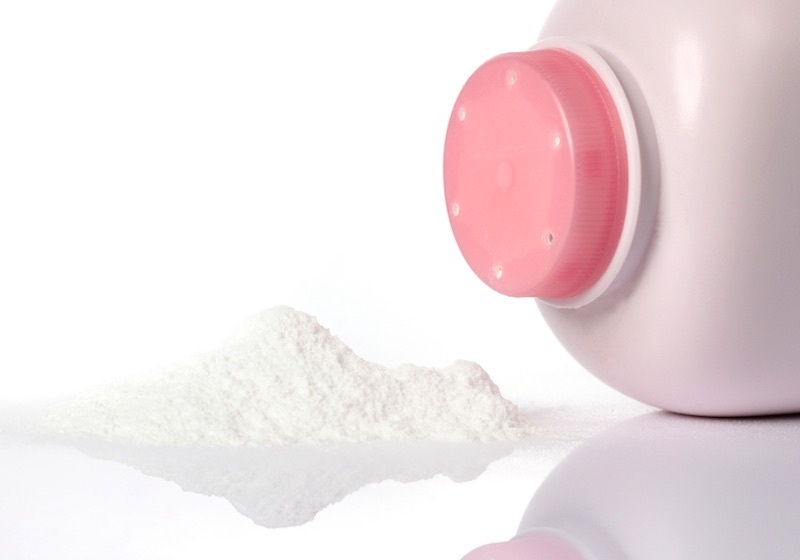 Although large studies have failed to reveal a strong, conclusive link between talc-based baby powder and ovarian cancer, researchers have been concerned with the effects of talc for more than 45 years. The American Academy of Pediatrics recommends against its use due to the possibility of breathing problems from inhaling the particles, a concern that has existed since 1969. As baby powder is considered a cosmetic, it doesn’t require approval by the FDA, so you are unlikely to see any extensive testing done on talc-based versions of this product in the near future. According to the International Agency for Research on Cancer, however, genital use of talc is considered “possibly carcinogenic.” Until more definitive studies are completed, it is up to you to decide whether you want to wait until Johnson & Johnson (which already recently settled a $5 million lawsuit this year over duping its customers with claims that certain products help babies go to sleep faster) is going to come clean about its iconic baby powder or ditch the powder products now. One of the most frustrating aspects about this scenario is the fact that other, safer talc alternatives exist, including arrowroot, and they are widely used by other companies. Even Johnson & Johnson recognizes the value of these other ingredients: the company has a cornstarch-based baby powder version itself. No, you're not having d�j� vu. Johnson & Johnson is once again paying millions of dollars due to an ovarian cancer diagnosis linked to their baby powder. Earlier this year the company was ordered to pay $72 million to the family of a woman who died of ovarian cancer and was a habitual user of Johnson & Johnson's baby powder for 35 years. Now a jury is awarding $70 million to another woman, who was also diagnosed with ovarian cancer and who sued the company for "negligent conduct" in making and marketing the baby powder. About 2,000 similar suits have been filed against Johnson & Johnson with thousands more being reviewed. Although large studies have failed to reveal a strong, conclusive link between talc-based baby powder and ovarian cancer, researchers have been concerned with the effects of talc for more than 45 years. The American Academy of Pediatrics recommends against its use due to the possibility of breathing problems from inhaling the particles, a concern that has existed since 1969. As baby powder is considered a cosmetic, it doesn't require approval by the FDA, so you are unlikely to see any extensive testing done on talc-based versions of this product in the near future. According to the International Agency for Research on Cancer, however, genital use of talc is considered "possibly carcinogenic." Until more definitive studies are completed, it is up to you to decide whether you want to wait until Johnson & Johnson�(which already recently settled a $5 million lawsuit this year over duping its customers with claims that certain products help babies go to sleep faster) is going to come clean about its iconic baby powder or ditch the powder products now. One of the most frustrating aspects about this scenario is the fact that other, safer talc alternatives exist, including arrowroot,�and they are widely used by other companies. Even Johnson & Johnson recognizes the value of these other ingredients: the company�has a cornstarch-based baby powder version�itself.